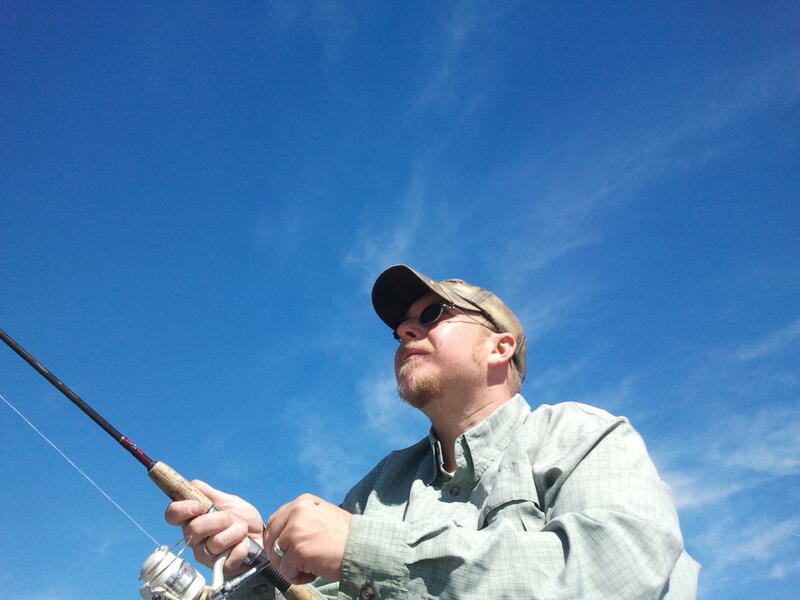 Northern Colorado Fishing Outfitters, owned and operated by Jedidiah Thompson, is a Fishing Guide Service that takes people on fully outfitted fishing trips by way of boat, from the shore, as well as on rivers, ponds, & lakes. This includes activities such as night fishing & ice fishing. 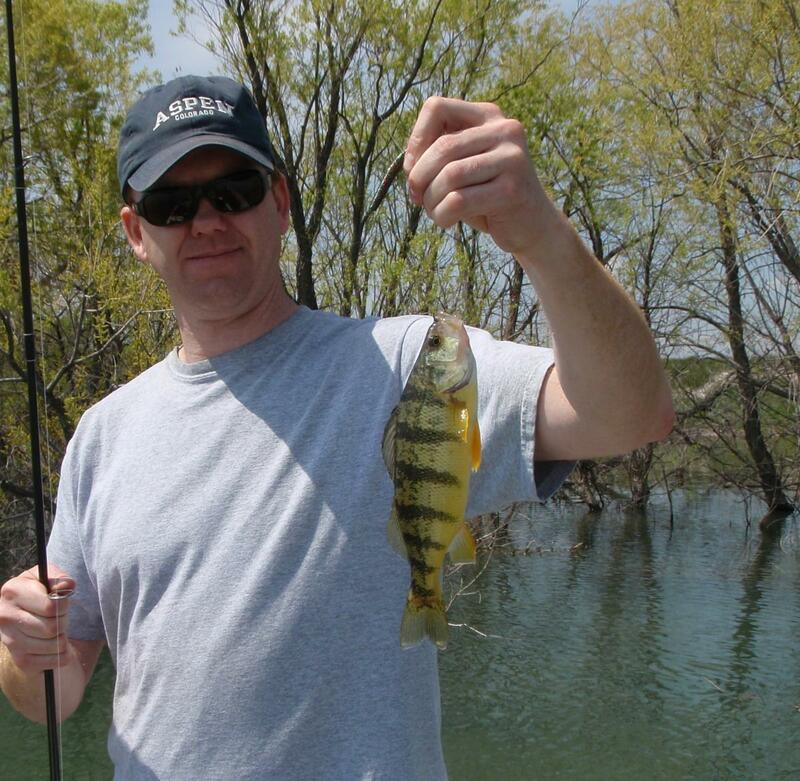 fishing for Largemouth & Smallmouth Bass, Rainbow Trout, Walleye, Catfish, Crappie, Perch and White Bass. We were very excited to talk with this local fishing outfitter in this week&apos;s community connections. Fort Collins has great fishing everywhere you look and go. Not to mention, the tremendous access to fishing areas. One can fish numerous City Parks, Natural Areas, County parks, State Parks, State Wildlife Areas, & U.S. Forest Service waters. These include ponds, lakes, reservoirs, streams, & rivers. The type of fish you can catch varies as much as the fishing locations. You can fish for multiple types of species. These species include Rainbow and Brown Trout, Largemouth & Smallmouth Bass, Walleye, Catfish, Crappie, Yellow Perch, Sunfish, & White Bass just to name a few. 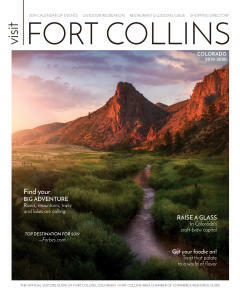 I love the outdoor experience and access Fort Collins offers. Of course, Fishing! I love fishing all over and around town. The natural areas offer great fishing opportunities. Outdoor activities are vast and numerous. 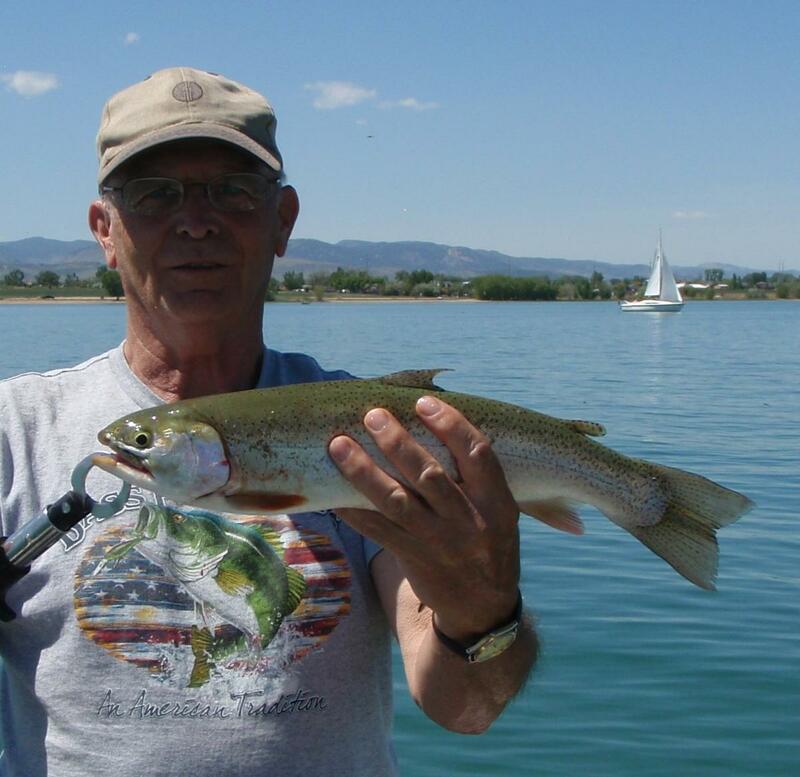 We enjoy camping, boating, and fishing at Boyd Lake State Park & Horsetooth Reservoir. Rafting, wading, and fishing the Cache la Poudre River is a great way to cool off in the Summer. My wife and I enjoy hanging out downtown all year long, but in the winter at night, Downtown is mesmerizing! Some of our favorite restaurants around town include Beau Jo&apos;s, C.B. & Potts, Panino’s, DC Oakes and Krazy Karl’s. For dessert, we frequent Walrus Ice Cream. After a long day of fishing or enjoying the numerous Ft. Collins outdoor activities, or if it’s just a nice afternoon, we like to grab a cold beer from New Belgium Brewing or The Hop Grenade in mid-town. One thing that we especially love doing in Fort Collins is attending all the downtown festivals and concerts. Some of our favorites to attend are Taste of Fort Collins and NewWestFest. Look for Northern Colorado Fishing Outfitters & Guide Services at a booth at Taste of Fort Collins this year. What makes Northern Colorado Fishing Outfitters unique? First off, I am Colorado born and raised, I have been fishing Eastern and Northern Colorado waters for 35 years. Our guide services offer a variety of fish species to fish for and catch. The guide services also offer numerous types of fishing trips: Fishing from a boat, shore fishing ponds, lakes and rivers. During the spring, summer and fall we offer night fishing for large Catfish, Bass, Trout and Walleye. 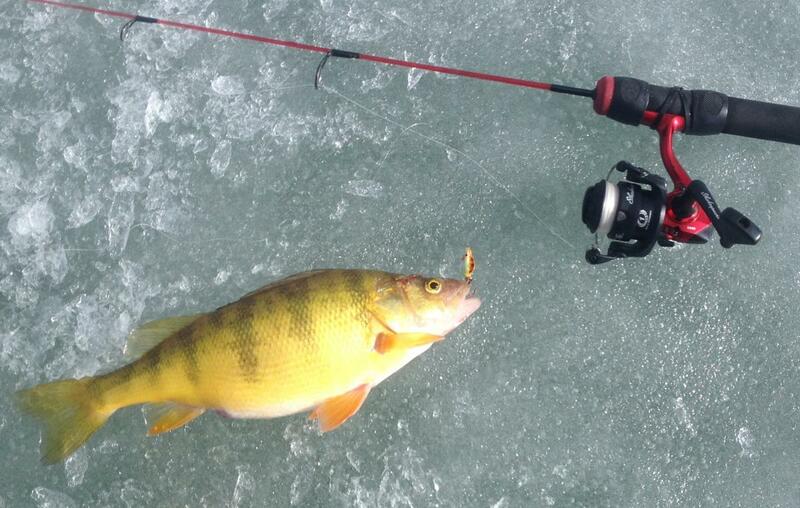 During the winter we offer ice fishing trips. While fishing on our guided trips you will use a variety of fishing techniques and use multiple types of lures, flies and baits to catch several fish species. During our trips the fishing consists of using spinning reels & rods for casting, jigging, drifting and trolling depending on your trip type. Our trips are fully outfitted with quality fishing gear and safety equipment. Using quality and name brand gear such as St. Croix rods, Pflueger reels, Rapala, Berkley, Lindy Fishing Tackle, Northland Tackle, Panther Martin, Acme Fishing Tackle, PK Lures, River2Sea, Minnkotta and Lowrance. We have permits to guide on numerous Fort Collins Natural Areas that include pond and river fishing. We also have permits to guide on Boyd Lake State Park, Lon Hagler Reservoir and Boedecker Lake. We are a fully Licensed, Bonded, & Insured Outfitter and Guide Service. Guides are CPR & First Aid Red Cross Certified. What is the story behind how you started Northern Colorado Fishing Outfitters? I love fishing. I wanted to share my passion of the outdoors and fishing with other people who want to experience a Northern Colorado fishing trip. I wanted to share my fishing knowledge with people who want to learn to fish and catch different species of fish. I regularly visited FoCo growing up, going to Ben Deltour Scout Ranch, camping at Horsetooth Reservoir, Red Feather lakes area and Roosevelt National Forest. I always visited my grandma at Charcoal Broiler, and my aunts & uncles that lived in Fort Collins. 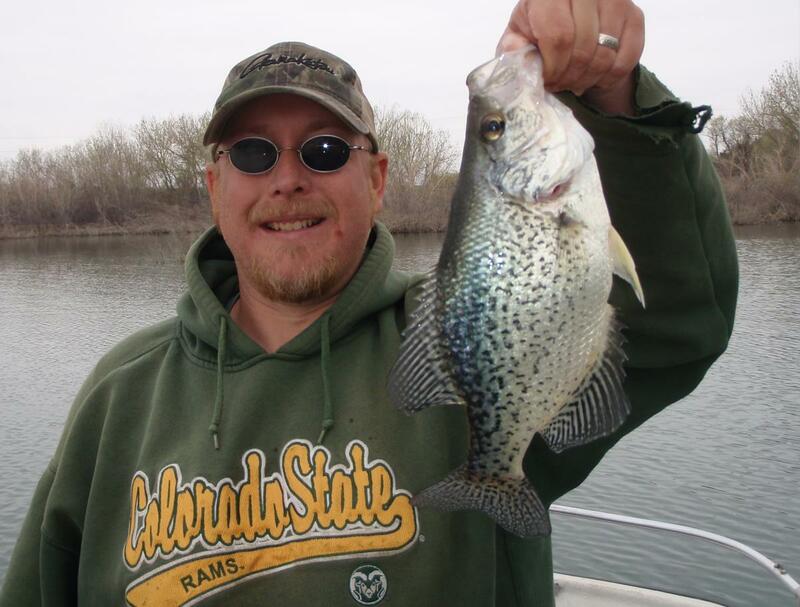 What do you want visitors to experience at Northern Colorado Fishing Outfitters? I want visitors to experience the amazing fishing opportunities Fort Collins and Northern Colorado has to offer. I want them to experience the excellent outdoors opportunities available around town, which includes great fishing. I want them to enjoy a day on the water catching a variety of fish. I want them to increase their fishing knowledge and learn new fishing techniques. I want them to have an enjoyable fishing experience without having to worry about where to go, what to bring, or how to fish. All they have to do is show up and we will do our very best to provide an amazingly fun and enjoyable time on the water fishing for a day.